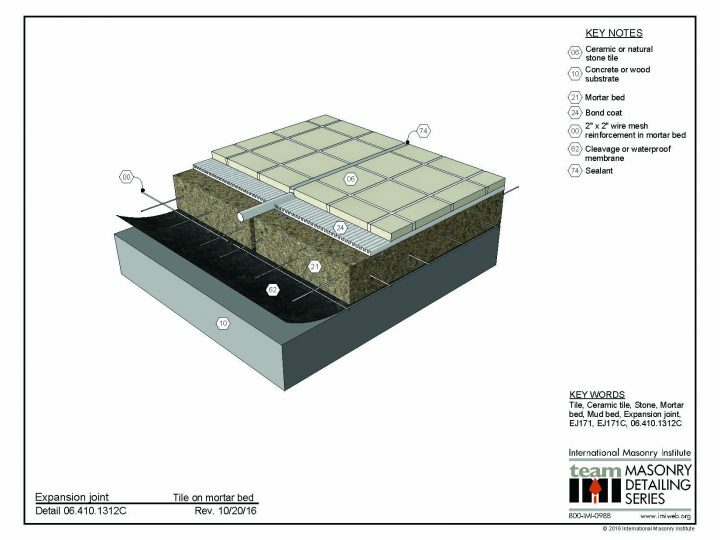 This detail illustrates an expansion joint in a tile floor laid on a cured reinforced mortar bed over a concrete or wood substrate, with a cleavage membrane separating the tile assembly from the substrate. The expansion joint is installed through the tile and through the mortar bed, all the way to the substrate. This detail is based on TCNA Method EJ171.